While a report from The Wrap yesterday seemed to suggest that Conan O'Brien was going to have his role reduced at TBS, it seems that is far from the case. In fact, the network seems to be expanding their relationship with the popular late night host. Now it looks like the Clueless Gamer segment from Conan is going to be developed as its own show on the network, with the host helping to bring the show to life. Clueless Gamer started as an online video series in which Conan O'Brien would have celebrities join him to play a new video game. The comedy stems from the fact that Conan isn't what one would call a gamer, so it is almost always foreign to him. Variety is now reporting that TBS is developing the segment, which regularly draws millions of views on YouTube after airing first on Conan, into a new, half-hour show. Here is what Turner Entertainment Chief Kevin Reilly had to say about it. "Next month we're going to go into production on a new series called 'Clueless Gamer,' based on one of [O'Brien's] viral videos. Celebrities play videos and he makes fun of them. It's really broken out. We've had companies sending us their games pre-release." The show has yet to be picked up to series, but it seems like TBS is at least going to shoot a pilot and see how that goes. Conan O'Brien will be producing Clueless Gamer but if it does ultimately wind up going to series, he wouldn't be the host. The report from Variety didn't mention who they were looking at as a host, but if TBS decides to move forward with the series, they will probably announce someone fairly soon. This would be the third show outside of Conan that the comedian would be producing for TBS. He is currently producing People of Earth as well as the upcoming animated series Final Space. The news that Clueless Gamer is being eyed as a potential series at TBS, thereby expanding Conan O'Brien's role at the network probably comes as a relief to fans. Reports circulated recently that TBS was looking to reduce Conan to a weekly show as opposed to the Monday through Thursday schedule that the show currently has. Kevin Reilly cleared things up in a statement shortly after the reports started circulating. Here is what he had to say. There is zero ambiguity there and it is clear that TBS feels strongly that Conan O'Brien will be an important part of their brand moving forward. That said, if he continues to expand his role as a producer on various shows, it will certainly add some strain to his schedule, since doing a nightly talk show is very demanding on its own. That may lead to some changes in the future but for now, he will stay busy. 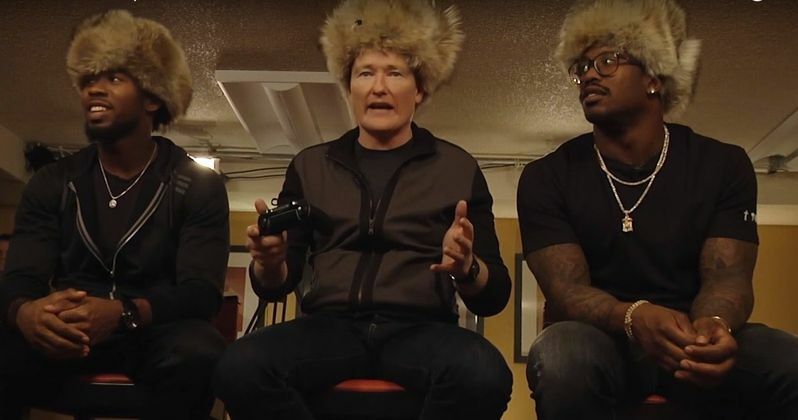 It is unclear if Conan will still feature the Clueless Gamer segment if TBS picks it up as a series, but that could have some affect on things moving forward. One way another, there will be more Clueless Gamer on the horizon.